I'm field testing the statistical model I've developed in order to measure the learnability of a user interface. 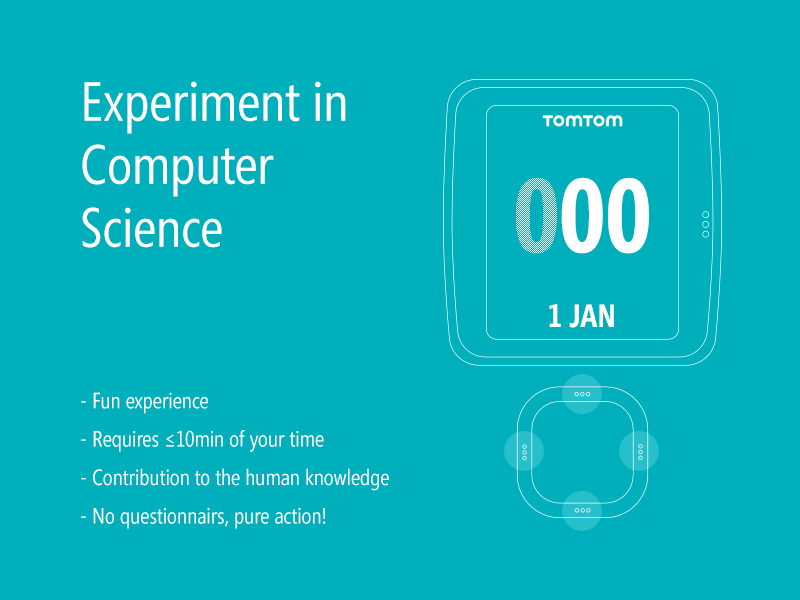 Thus, I'm conducting an experiment that measures times of completion of a number of tasks within the TomTom Multisport user interface. The study is 100% online and you don't have to go anywhere, send anything or do anything but using the UI. It's also 100% anonymous, so any of the data that will be collected during the study won't be associated with you in any way.